In 3 dodos (three sleeps) we’re leaving for an eleven-day climbing trip in BC. This year we’ve decided to do our spring trip a little later than usual and to stick to destinations within our dear Canada for a few different reasons: low Canadian dollar, lack of friends with the same schedule and a desire to spend some time with Tata (French slang for Auntie) on the coast. Our trip will be in two phases; we will spend the first half in Revelstoke, and the second half in Squamish. These choices will allow us to split the drive in 2 (Squamish is a mere 12 hour + drive from Kimberley, where we live), and will provide great variety in the climbing and in the scenery. Our Mini actively helps with prepping our camper and packing her stuff, which really contributes to building the excitement! 4- Helly Hansen Rain Set: The suit was great up to 2 and potty training. Now we find the 2-piece set more versatile. 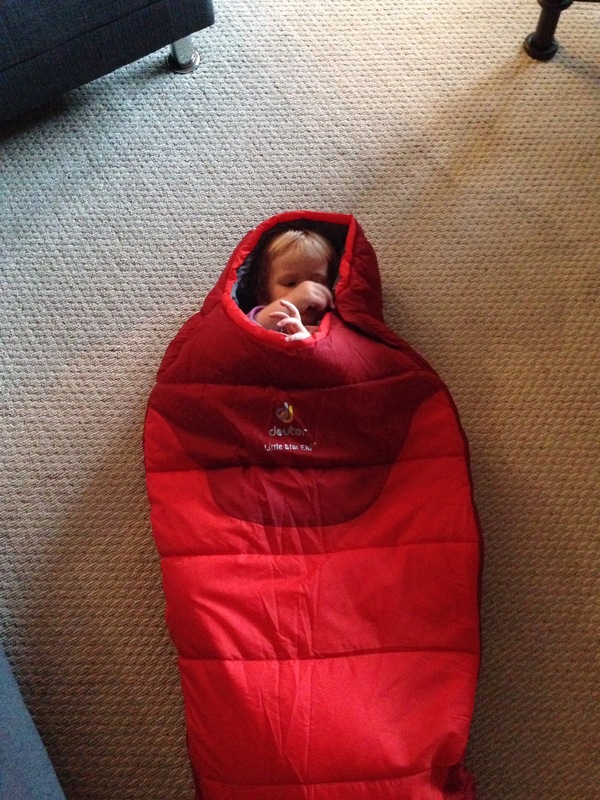 Can be layered with warm pieces to replace a snowsuit…Yeah, we’re going to coastal BC…did I say the weather can be unpredictable in BC in May, or in fact, every month of the year? 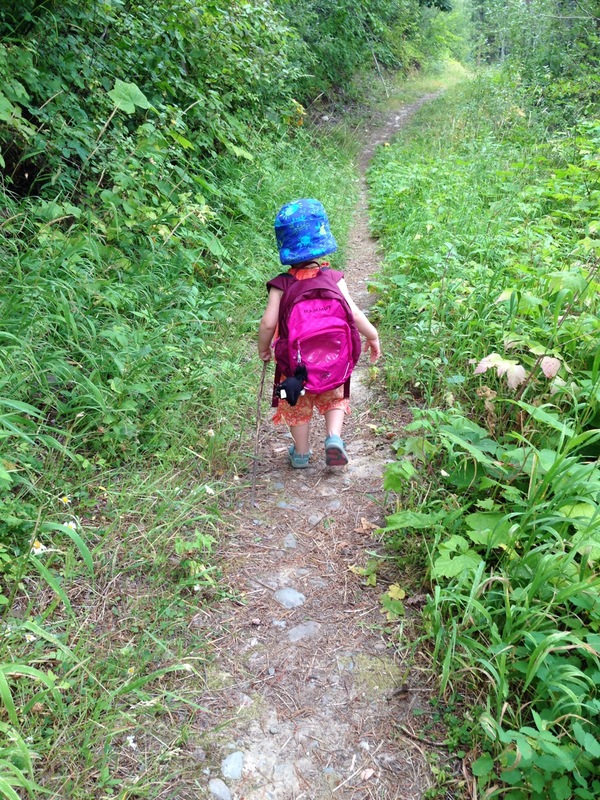 6- Mammut Kids 10L Backpack– (because she wants to hike ALL BY HERSELF! ): a serious review website would say: storage= 0, functionality=0, waist belt=0, hydration system compatible=0, cuteness=10, stuffed mammoth=10. 7- Shoes: hikers, beach/water shoes, Keen sandals, Bogs rain boots… weather can be unpredictable in BC in May…tak’em all. 13- Flash light: for reading the cool mountain books on line 8. 14- Water bottle: You know the great $30 Klean Kanteen kiddy water bottle …NOT! A $10 no BPA version will do just FINE! 15- SMALL toys+ favorite SMALL stuffy: ’cause that’s all that fits into the 10L backpack on line 6. Allright, I got to go finish packing!